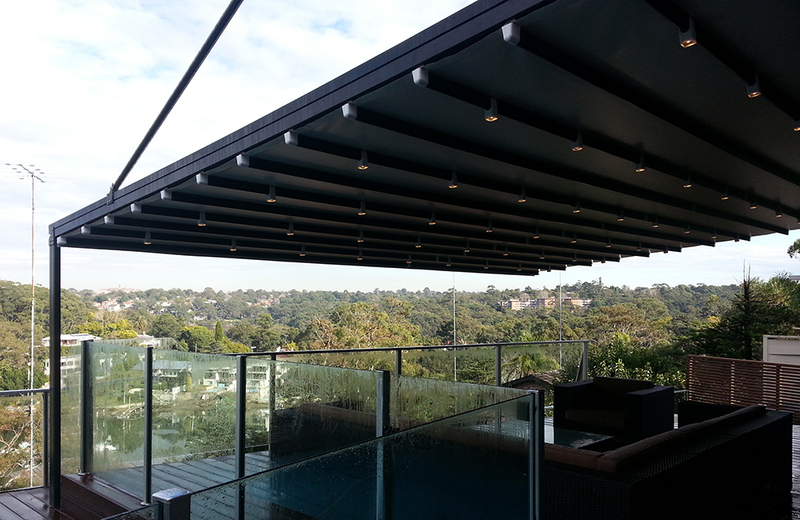 Custom roofing systems can be created to suit the needs of any outdoor living space. 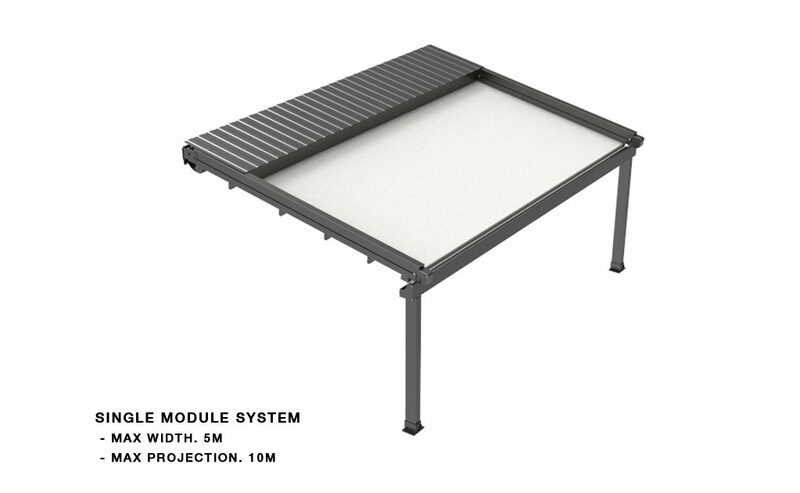 The TERA rafter profiles (80mm x 125mm) have been designed with unique water guard side channels and cast aluminium end plates to allow for projections up to 7m per system. Widths are customised according to site requirements and available in any size up to 15m. The Tera system offers up to 105sqm of protection at the touch of a button. Linking multiple systems is also possible and made easy by our patented storm channel joining system that ensures 100% waterproof join every time. 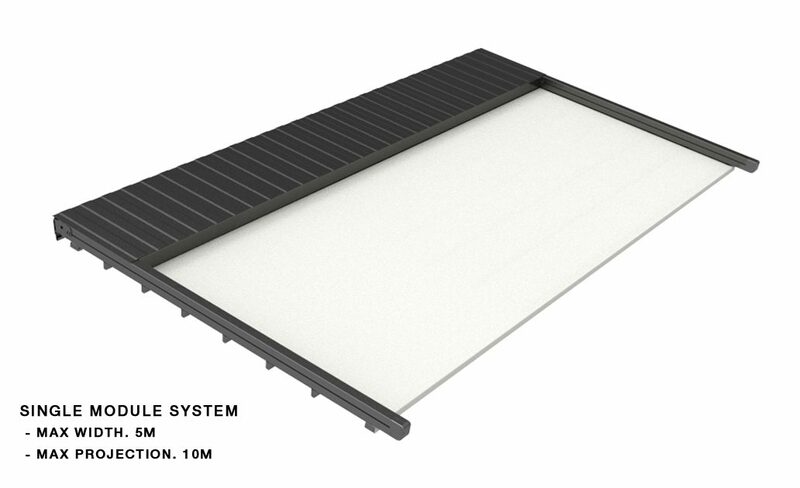 The TERA system also includes an integrated gutter system with internal drainage to carry away even the heaviest rain. 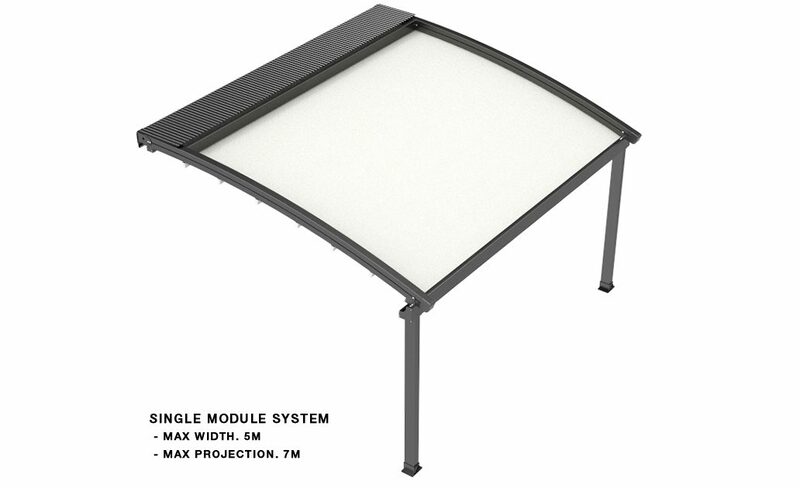 The Halo retractable roof system provides outdoor protection with an architectural edge. 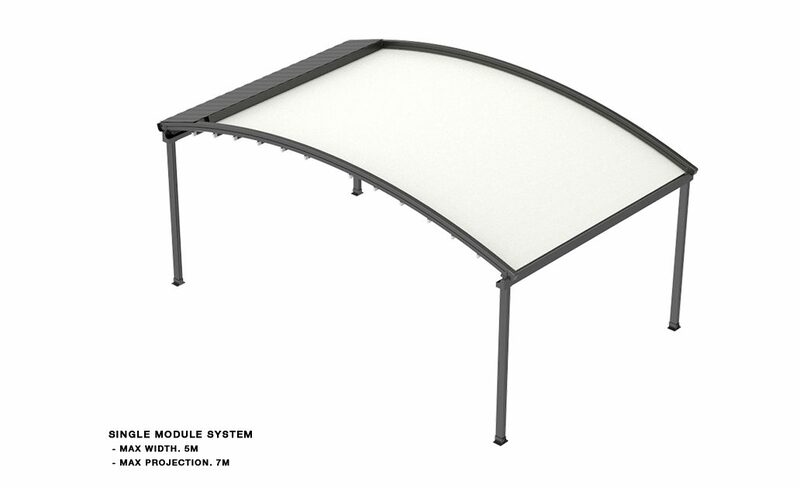 With its curved rafters, it provides more top space than the straight rafter Tera systems. 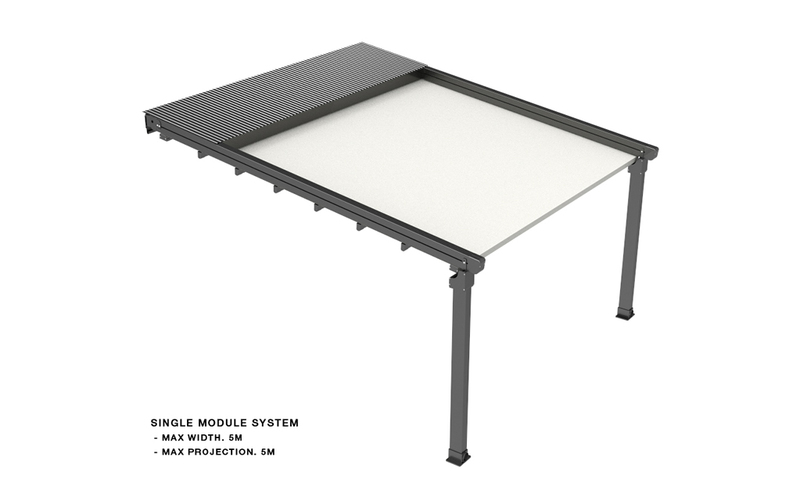 The system offers a wind rating up to Beaufort class 11 (up to 117km/h) and is designed to stand up to even the worst of conditions rain, hail or shine. 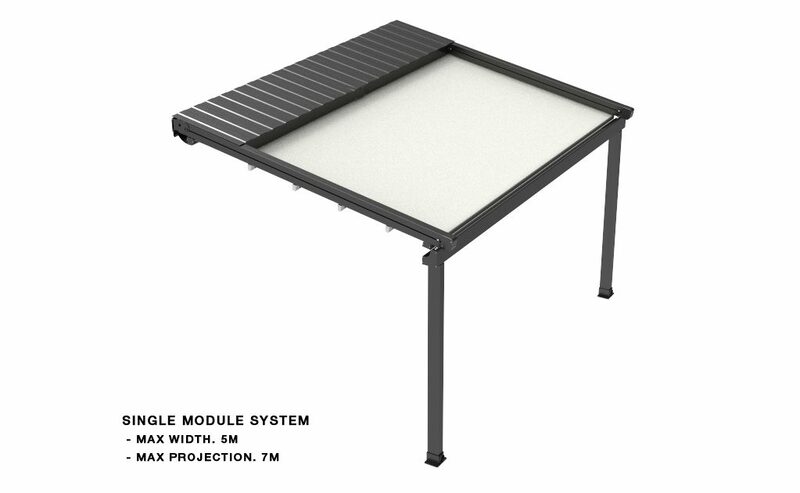 The system is manufactured to size using high grade 6063 extruded aluminium profiles finished with thermosetting powder coating which provides superior overall performance for exterior product applications. All bolts, screws and pins are high grade stainless steel to ensure extended system life.